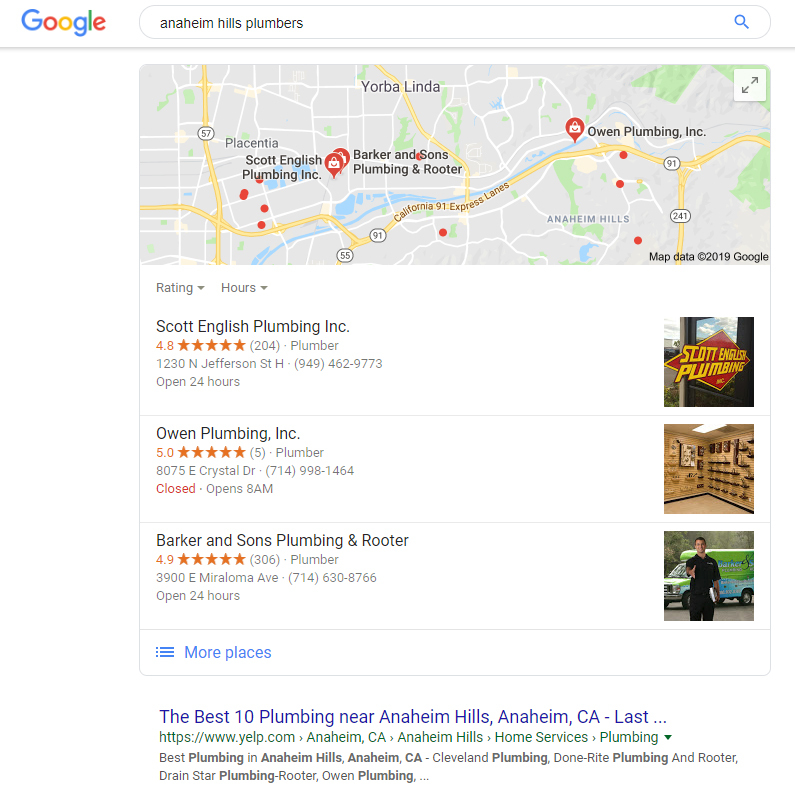 Google’s local pack is an excellent place to draw traffic to your site and your Google My Business listing because it is always displayed above organic search results and includes an interactive map so users can immediately gauge how close you are to them. To be featured in local packs you have to beat out a lot of competitors first. Getting your company to consistently rank in the local pack is difficult and especially so if you have a lot of competitors that have been around a lot longer than you have. We’ll go over what we’ve found to have the most impact on getting your business to rank in the local pack and how you can apply them to your business. Without a Google My Business (GMB) listing you will never appear in Google’s local packs because they are populated completely based off of GMB listing. This also means that they are generated differently than organic search results and just because you can get your business to rank well in organic results doesn’t mean that you’ll rank well in local packs. We go a lot more in-depth into different aspects of Google My Business in our What is Google My Business and How Can it Contribute to SEO blog post, but we’ll go over the top actions you can take here also to make your GMB listing as strong as possible. Make sure there aren’t any missing fields in your listing – Neglecting areas such as your name, address, phone number, or hours in your listing will negatively impact your likelihood of ranking in the local packs and will also make it much harder for potential customers to get in contact with you. Encourage your customer to review your business – Yelp actively discourages businesses from asking their customers to give them reviews, but Google encourages it so long as it’s done ethically (In other words don’t offer your customers benefits like free services for reviewing you). If your customers take the time to review your business, make sure to reply as it’s one more thing that can strengthen your GMB listing and increase your chances of ranking in local packs. 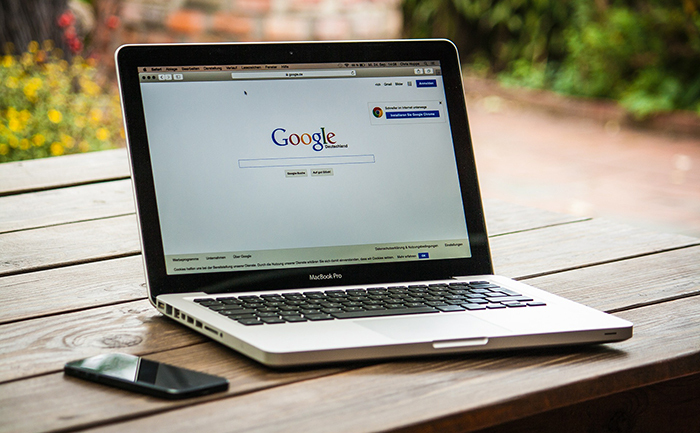 You should also make sure there aren’t any inconsistencies between your Google My Business listing and information on your page or other listing sites. An easy example would be listing your business as “Los Angeles Family Plumbing Professionals” in GMB, but your URL and name on your site are actually “Family Plumbing”. According to Moz, Google will often read the extra words in your GMB listing as spam keywords and attempts at manipulating search results which can negatively impact your chances of ranking in Local Packs. As you can see from this screen capture the local pack will always display above organic search results and will display the star rating of your company which will drive a lot of traffic to your site. 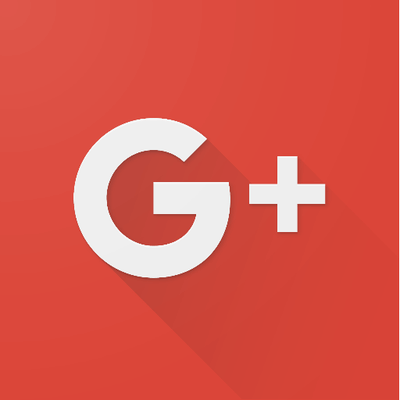 So your Google My Business listing is up to date, now it’s time to focus on other local listing sites. Getting your business listed on websites like the Better Business Bureau (BBB), Yelp, Angie’s List, and other home service oriented listing sites can improve your authority in your local area and increase your chances of ranking in local packs. If you have listings on these sites already, make sure that any information about your business is consistent with your GMB listing. Any inconsistencies can make it harder for you to rank in local packs and more importantly can make it harder for customers to give you their business if your address or phone number is listed incorrectly. The old adage “Location, location, location” has never been more relevant. Where a user is searching from can have a major impact on what will be shown in the local pack. Google has determined city “centroids” and will alter the local pack ranking based on how far away a user is from the city centroid. Google any major city and wherever the name of the city is displayed on the map is where Google has determined the city centroid is. Unfortunately, there’s little that can be done about this aspect of local packs, but luckily this isn’t the only factor that determines where you rank in local packs. With the other tools of Google My Business under your belt, you can make enormous strides towards consistently ranking in local packs and dominating that valuable space on search results. If maintaining your listing as well as running your business seems like a hassle, a professional SEO company can manage your listing for you and drive your business to the top of local packs.